They say laughter is the best medicine, and it’s hard to argue with that. It’s also the foundation of any successful relationship – after all, what chance do you have of getting into a relationship with someone if you can’t make them laugh? I’ve always said I’d definitely rather date someone who was broke and funny then rich and boring. As it turns out, the science agrees with me! According to Joyscribe, Jeffrey Hall from the University of Kansas has conducted 39 studies around relationships over the last 30 years, which have involved over 15,000 people. 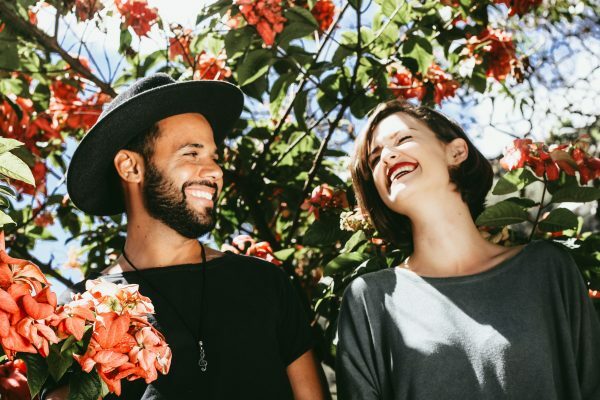 One of his findings was that humor was (and probably still is) a critical part of building a successful relationship – so if you can’t remember the last time you and your significant other made each other laugh like crazy, you might be in trouble. You know, those in-jokes that you have with each other, that everyone else just thinks are weird? “Say you and your partner share a quirky sense of humor, but romantic comedies or sit-coms do nothing for either of you… It’s not that any style or a sense of humor is any better or worse. “What matters is that you both see quirky humor as hysterical. If you share a sense of what’s funny, it affirms you and affirms your relationship through laughter. So, there you have it folks – tease away, but the banter has to stop somewhere!